Strawberry Park Resort is designed with 8 blocks of walk-up rooms and apartments; spread over 7 acres of land. She is the market leader and the highest resort in Cameron Highlands, exclusively on her own hill with breathtaking view of the highlands. It is A RESORT ABOVE ALL. 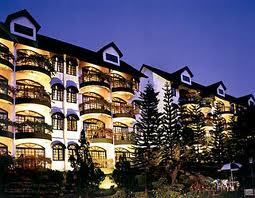 Strawberry Park Resort is the creation of an inspiration of Cameron Highlands. Strawberry Park Resort offers vacation rooms/apartments and exclusive recreation facilities and services against “cool days of 21 degree Centigrade and colder nights of 10 degree Centigrade stretching the enjoyment of these hills in the tradition of Cameron Highlands” eternal embracing welcome. Strawberry Park Resort is a touch of mountain rustic and dash of city sophistication. Between these extremes, it is the Hig hlands’ most charming, truly beautiful set of vacation rooms/apartments, giving delight to its occupants. It is certainly one of the prettiest Resort in Malaysia and in this ASEAN Region. November 15, 2011 in All Residential, Condo / Serviced Residence. hi, me and my sister are looking for a shoplot to rent. is there any shoplot preferably at tanah rata available? Hi Salawati, sorry we don’t have shoplot for rent in cameron area at the moment. Hi, Is this unit still available? Hi, I’m staying in Brinchang. Me and my my boy friend is planning to get married & looking for apartment. Is this apartment still available? Can I know the lease term as well? Or you have other better apartment to intro? Thanks. Hi Harry, do you mean you want to buy a condo with rental income 2k to 3k? Hi, I am looking for 3 rooms+2 baths apartment price below RM 270K or 4 rooms + 3 baths Double Storey Terrace House price below RM 400K for investment. Location: Brinchang town, Kea Farm or Tanah Rata, Cameron Highlands. Thank you. Hi Ribecca , Please refer to your email. thank you . Hi Jovinci, can you send these info to me as well? Is there any apartment/condo/service for sales below 300k in Cameron Highland? Hi, would appreciate details for condo/apartment for sale in Camerons ard 300k etc. Please refer your email . Sorry for Cameron I only have Strawberry Park Condo For Sale . Is there any apartment/condo for sales below 300k in Cameron Highland? Is this unit still available? and how long is the lease for it? sorry for late reply , Kindly check your email . Is there any apartment/condo for sales in Cameron Highland? hi Josephine ! do you have any Strawberry park condo for sale ? Hi Mohd Yusof, please contact Josephine at 016-9198108. Hi Josephine, do you have any Strawberry park condo for sale? Also would like to know of any good property for investment, thanks! hi.. Do u have condo/apartment Unit dat still available at strawbry park .. Quote me ur prize.. Or u hav any property there for invstmnt dat da prize should below than 500k.. But I prefer below 300k.. Tq. Sorry this cameron condo is not available.